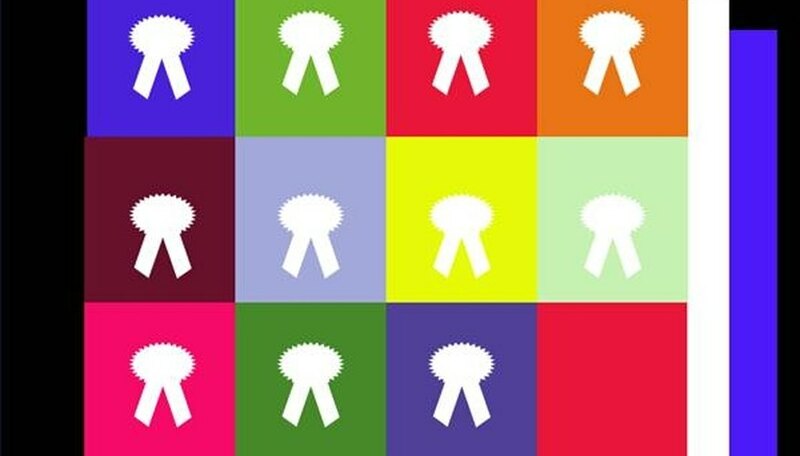 Award ribbons can be displayed in a variety of ways. They can simply be hung on a wall or displayed in a shadow box or frame. 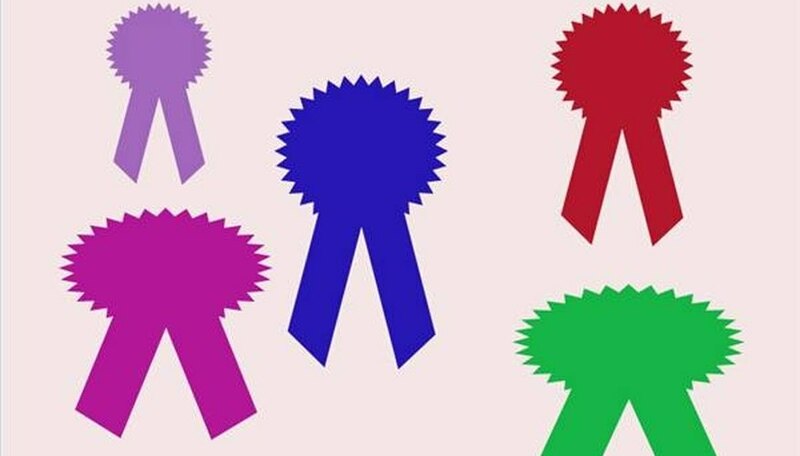 Award ribbons might be kept in a scrapbook, or tucked away and forgotten in a storage box. Or you can display award ribbons in a unique quilt wall hanging. The quilt hanging is sure to get as much attention as the ribbons themselves. Organize your ribbons. Decide how many ribbons you will incorporate into the quilt and how many you will feature per square. Divide the ribbons according to squares. Use the largest ribbon to determine the size of the quilt squares. The squares might be 10-inch or 12-inch blocks. If one ribbon is extra large, it can overlap other squares after the squares are assembled. Determine the number of squares you will have in your quilt. This quilt is designed as a wall hanging, so it does not need to conform to the size of a bed. Choose fabric that is similar in weight and texture. 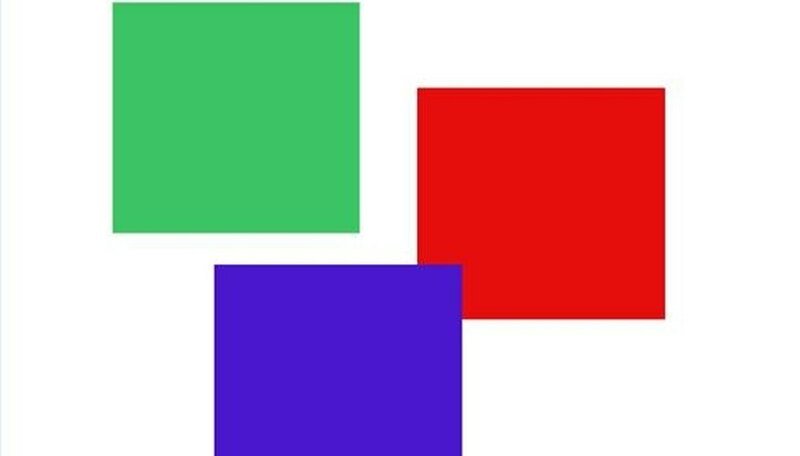 All the squares must be identical in shape and size. Cut a piece of fabric for the first fabric square. Design one block at a time. Do not approach this quilt as a dozen or so squares that must be completed. The ribbon can be attached with fabric adhesive, safety pin or stitched on, depending on the style of the ribbon. Choose a method that does not damage the appearance of the ribbon. Design the square to best display the ribbon or ribbons that will be attached. 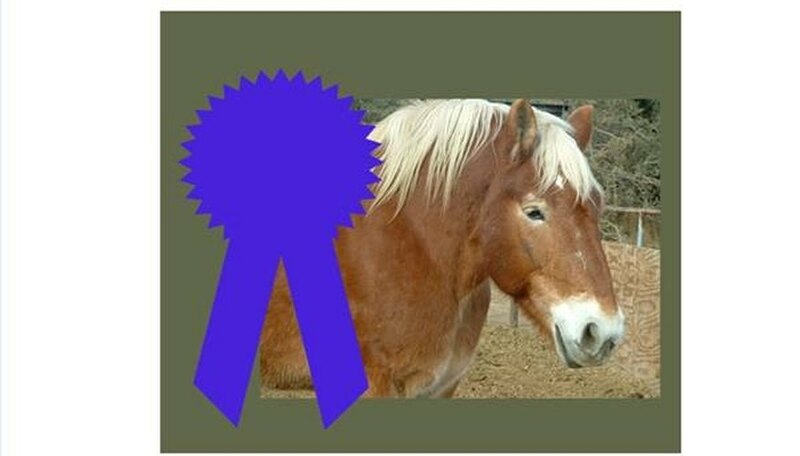 For example, if the ribbon was for a specific horse show, and you happen to have a photograph of the event, consider transferring the photo onto the fabric square using heat transfer paper. Use applique or embroidery to embellish the square. Document the event with embroidery. For example, you can embroider the date and location connected with winning the ribbon onto the square. Layer fabrics for added dimension. Frame the ribbon on pieces of fabric that are sewed onto the individual square to add depth and to highlight the ribbon. Lay out the quilt squares in the desired pattern to create a rectangular shape when all the squares are completed. If you do not have enough ribbon squares to complete a row, make additional squares without ribbons. Sew the top row of squares together, making 1/4-inch seams. Sew the remaining rows together, making 1/4-inch seams. Sew the rows together, making 1/4-inch seams. Lay the front of the quilt over a piece of quilt batting and backing. Both the batting and backing fabric should be the same size as the quilt front. Attach the three layers by knotting along each corner of the squares with embroidery thread. Thread a needle, push it through the three layers, bring it back up again and tie the two ends together. Snip off excess thread. Sew 1/2-inch bias tape around the edge of the quilt to finish. Sew a strip of fabric along the upper backside of the quilt. This will be used to insert a wooden dowel, the same width as the quilt. This will keep the quilt from sagging when hanging on the wall. Ann Johnson has been a freelance writer since 1995. She previously served as the editor of a community magazine in Southern California and was also an active real-estate agent, specializing in commercial and residential properties. She has a Bachelor of Arts in communications from California State University, Fullerton.